Ukrainian forces are using heavy artillery to shell Donetsk residential areas in a clear violation of the Minsk agreements, the Russian Foreign Ministry has said, adding that Kiev seems to favor a military resolution of the Ukrainian conflict. The recent escalation in the Ukrainian South East is a “direct consequence of Ukraine [Kiev] breaking its obligations under the Minsk Agreements that Kiev does not intend to fulfill,” a Russian Foreign Ministry statement said, adding “Ukrainian authorities stubbornly strive for the military resolution of the conflict instead of taking efforts to achieve sustainable peace” in the region. The ministry called on the Ukrainian government “to stop armed provocations in Donbass immediately, to adhere to the existing ceasefire agreements and to proceed with responsible implementation of all provisions” of the Minsk Accords, including political reforms. 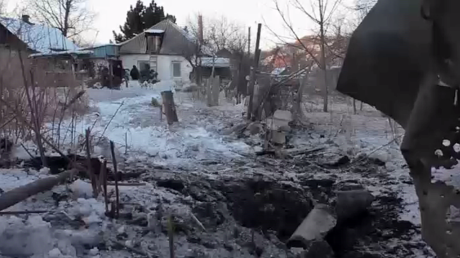 The statement also drew attention to the fact that Ukrainian forces are actively using heavy artillery and multiple rocket launchers to shell Donetsk residential areas, “although such weapons should have been long withdrawn from the contact line.” The shelling resulted in casualties among civilians and destruction of several infrastructure facilities, the ministry added. Regions in Eastern Ukraine, already suffering from Kiev’s economic blockade, have are once again on the brink of a humanitarian and ecological catastrophe, the statement adds. Meanwhile, the Defense Ministry of the self-proclaimed Donetsk People’s Republic said three people, including two rebel fighters and one civilian, were killed in the recent shelling while seven people were injured, as reported by RIA news agency. Russia’s Foreign Ministry has expressed hope that Ukraine’s “partners” would exert necessary influence on Kiev to force it abandon its attempts to “have revenge in Donbass and derail the Minsk Agreements.” It also added it expected the OSCE mission in Ukraine to take immediate steps to de-escalate the situation. Reports of intensified fighting between pro-Ukrainian forces and rebels along the disengagement line in eastern Ukraine emerged on Monday. Earlier, Kremlin spokesman, Dmitry Peskov, said the latest escalation of violence was provoked by an attack from Ukrainian paramilitary units supported by the army. The escalation of violence in the Eastern Ukraine affected a large number of civilians in the area. The Ukrainian shelling on Tuesday morning disrupted the power supply to one of the coalmines in the rebel-held territory near Avdeevka, leaving over 200 miners trapped underground. It took rescue services several hours to evacuate them all. In the Kievsky district of Donetsk, a group of Russian journalists was caught in the shelling reportedly conducted by the Ukrainian armed forces. The Russian investigative Committee has already opened a probe into the incident. “According to the investigation, a group of Russian journalists, including an RT stringer as well as crews from NTV, Lifenews and other media outlets, was shelled by the Ukrainian Army’s artillery in the Kievsky district of Donetsk,” Investigative Committee spokeswoman Svetlana Petrenko told TASS, adding the journalists were able to flee the scene after the beginning of the shelling. 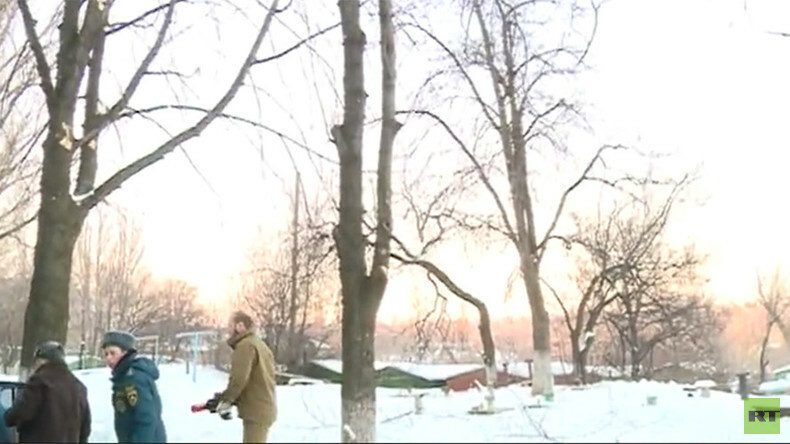 Lifenews reports that its cameraman, Pavel Chuprin, suffered a leg injury in the shelling. 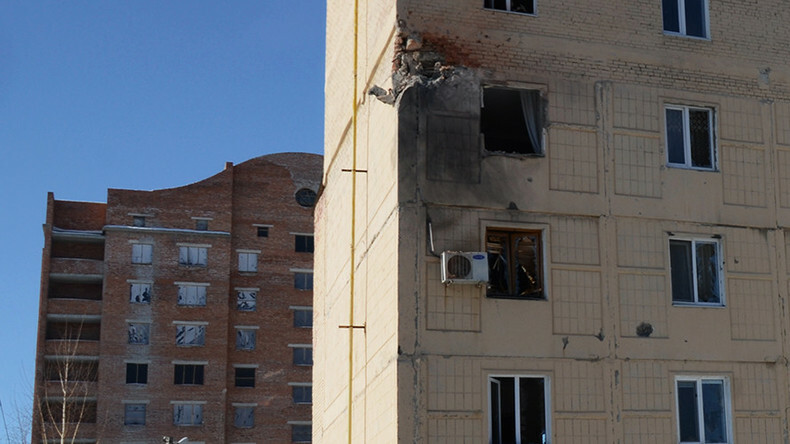 According to the Donetsk news agency, its correspondent was also injured. Both men were evacuated from the shelling zone and are now in a stable condition. An RT stringer, who was at the scene described it later in a phone call. He said: ”We were filming at around 04:30 PM when the shelling started. Mortars rained down on the area. Locals ran to the basement and we followed them. The entire building was shaking. After some time, it went quiet and we attempted to go outside. Another shell then suddenly exploded just ten meters away from us. A car of the fellow TV crew was riddled with bullets. We were taken to safety but many people remained in their basements because the shelling was not stopping,"
Meanwhile, the Ukrainian Foreign Ministry has blamed Russia for the spike in violence in eastern Ukraine on Monday. Kiev repeatedly accused Russia of supplying weapons to the rebels and sending troops to the rebel-held areas, although it has presented no sufficient evidence of its claims so far.